In tutorial 2, we have discussed how to insert image in you WordPress blog, and in tutorial 4, we have discussed how to link texts to other files on the internet. 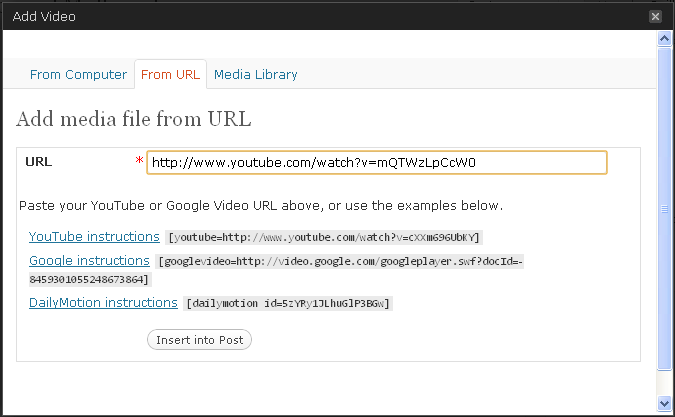 In this tutorial, we are going to learn how to embed videos in our WordPress blog. 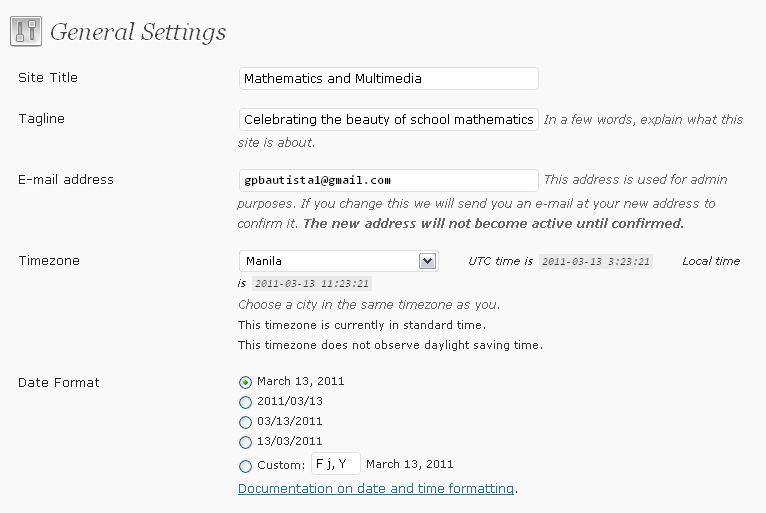 In your New Post/Edit Post window, click the Add Video button from the toolbar to display the Add Video dialog box. In the Add Video dialog box, select the From URL tab. Copy the Youtube URL (web address) of the video that you want to insert and paste it in the URL text box of the Add Video dialog box. Click the Insert to Post button to insert the video. If we are too lazy to do the steps, just type after pasting, and you are done.